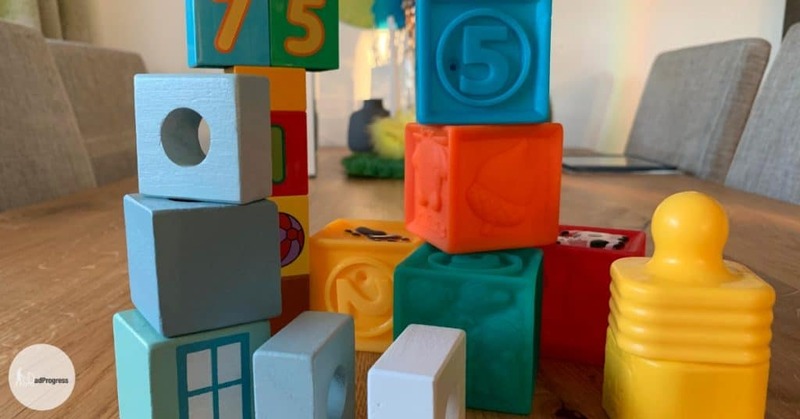 What Are The Best Toddler Blocks In 2019 ? Finding the right toy for your little one can be tricky. There are so many options, all of which advertise that they help your child learn. One such toy that has been tried and true over the decades is baby building blocks. These building toys for toddlers are ideal for developing muscle control in a fun, engaging way. Use this guide to find the best toddler blocks for your child. What Are The Benefits Of Using Blocks? How To Pick Your Type Of Block? What Makes An Exceptional Toddler Building Block? 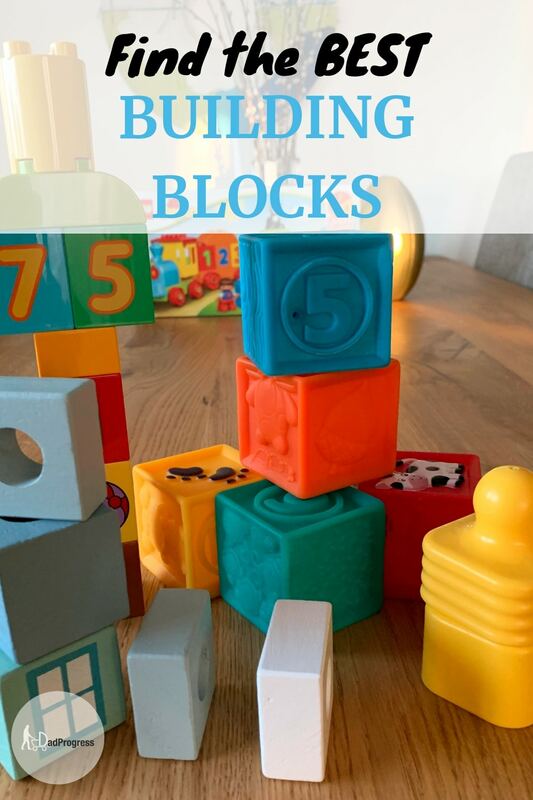 Before diving into the best toddler blocks, I explain the ins and outs to these stackable play objects. Some might see these objects as simply another thing that can go into their child’s mouth. Child psychologists have actually disproven this allegation, listing several educational benefits that can be found below. When a child lifts a block, they are using the muscles in their hands and fingers. This builds the coordination between their hands and their eyes. Think about the first time your child played with a new friend. What did they gravitate toward? Blocks are often found as an activity that can be shared between two children. Most blocks have various shapes, words, numbers, and letters on each side. This can aid in your child’s development when considering math or vocabulary. Although not the most commonly considered benefit, it does impact a little one’s education. Those who play with these toys have to solve problems associated with design and layout. For instance, a kid who wants to build a tower must learn to balance each block. Just as with any product, you can find an assortment of shapes, sizes, and materials. They can be interlocking or non-interlocking. Choosing the correct block for your child depends on where it will be used and your preferences. When looking at old paintings completed in the 1800s, you might find a scene involving a toddler and a few blocks. These toys were first manufactured in the late 18th century, associating them with educational playtime. The iconic alphabetical blocks grew to be such a phenomenon that they were inducted into the National Toy Hall of Fame in New York in 2003. These wooden toys were „invented“ in 1987. What makes them unique is that each unit measures 4,6“ x 0,9“ x 0,3“ so they are quite long and thin. You may have heard of this iconic toy:) I admit that LEGO is my favorites because I got my first set when I was six years old and played with the blocks for years. The possibilities for open-ended play are endless. Although a pain when stepped on, these blocks are also great for increasing problem solving, motor skills, creativity, planning, and teamwork. I already bought a DUPLO set for my little one although he’s (at the moment of writing) only one year old. There are plenty of options to choose from when it comes to your kid’s next toy, but how can you be sure that it is made with high quality in mind? By creating a list of criteria, you can accurately compare products and find the best one. I found that the following attributes made the most difference between a well-made block and a flimsy brick. Once you have decided on which type of building bricks to buy for your little one, now you can choose how to use them. Merely setting them on the floor is an option, yet not the most fun for both you and little Timmy. Here are a few tips for creating an engaging block session. Now that you know more about building blocks and what your little one could gain from this toy, you can look over DadProgress top ten products. These baby building blocks are made with development in mind. The blocks are fitted with different pictures, numbers, and letters. The upper and lower case letters could help kids learn how to differentiate the two apart, even at a young age. Next in my list of top contenders is the Battat Building Blocks because they are safe for younger kids. These items are soft so your kid doesn't get hurt when he falls on them. It's also a great product if your little one likes to throw things. The Battat Building Blocks don't contain any known harmful chemicals. Why not to throw in a green block? When buying building bricks for your baby, the material used is one of the most important aspects to consider. The Baby Blocks presented by Battat are made with infants in mind. They are fitted with a soft BPA and phthalate free fabric. It's a great sensory toy because there are five inserts. These inserts have different textures and you baby can rattle thme (just look at the video). Each building block that we listed in our top contenders is made to be educational and engaging. If you're searching for the baby building blocks, then the Battat Soft Baby Blocks (sold on Amazon) are probably the best choice as they are safe and encourage learning. Another excellent option for infants is Battat Chewable Blocks (sold on Amazon). For young toddlers, you may want to buy the Mega Bloks set (sold on Amazon) because the pieces are lightweight and are easy to put together. Older toddlers may wish to play with magnetic blocks so you can check out the PicassoTiles set (sold on Amazon). That said, Lego DUPLO (sold on Amazon) is a timeless classic. Brickyard Building Blocks (sold on Amazon) are perfect if you wish something that grows with your kid. Regardless of whether you need building toys for toddlers or a softer option for an infant, one of our top picks will offer a stimulating play session. Besides, building blocks with your children will provide them many benefits and memories for years to come.